Autumnal tones can be so friendly and inviting. Infuse them into your table setting, and you will create a scene that just invites your guests to dinner! The Harvest Fine Dining Collection is all about autumn and the harvest season, when farmers enjoy the bounty of their crop and many more give thanks over grand meals for all that they have, both now and throughout the year. This collection consists of a variety of pieces, in a variety of styles, yet all stay securely in the theme of autumn, harvest, and Thanksgiving. Pewter antler flatware sets are perfect for feasting with, while gourd pitchers, pumpkin bowls, leaf trays, and turkey dishes all evoke not only the fall season but the Thanksgiving holiday. 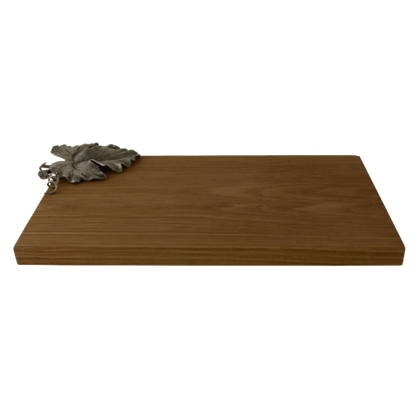 Rich pewter, fine wood, and elegant glass combine together, providing solid construction and elegant appeal in a number of pieces that are perfect for semi-casual or formal use. More than just the typical elements, though, we also offer bottle stoppers, carving boards, desert stands, salt and pepper shakers, napkin rings, gravy bowls, and serving dishes, all so that you can create the harvest, Samhain, autumn, or Thanksgiving theme you that desire. The Harvest Collection is all about bounty and beauty, bringing together elements of the fall season that are sure to add some inviting appeal to your dinner table. The 5 Piece Pewter Antler Flatware Set has a unique design that is sure to charm those who love the beauty of nature. 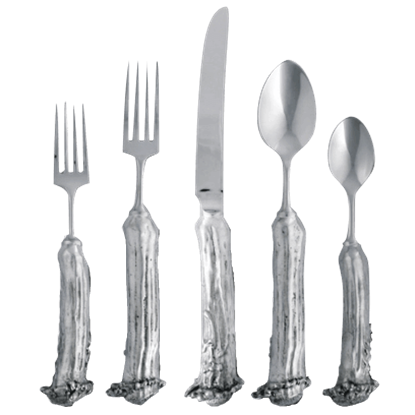 This cutlery collection features pewter handles formed to reproduce the shape and texture of antler. Whether serving fine cocktails, condiments, or an assortment of gourmet cheeses, lush detail is the key to the exceptional appearance of the pewter handle and harvest vine embellishments on the Autumn Vine Cheeseboard. Make your next party a hit with this fine seasonal dish! 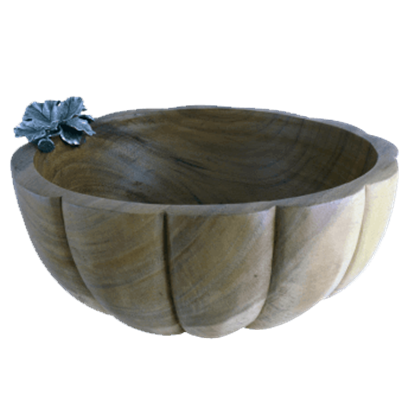 Decorated with a leaf and vine crafted from lushly detailed, high quality pewter, the Autumn Vine Dip Bowl is hand-turned and finished with food safe wax and mineral oil. No formal dinner is complete without a salad course, whether served buffet style or passed around the table. 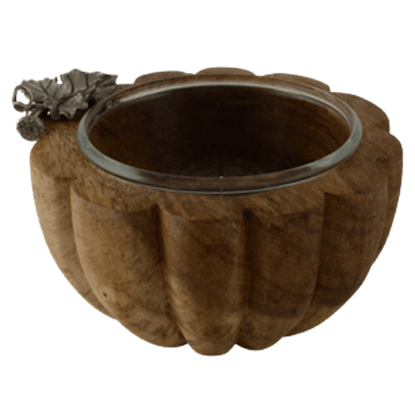 A leaf and vine accent, crafted from lushly detailed high-quality pewter, decorates the Autumn Vine Salad Bowl. 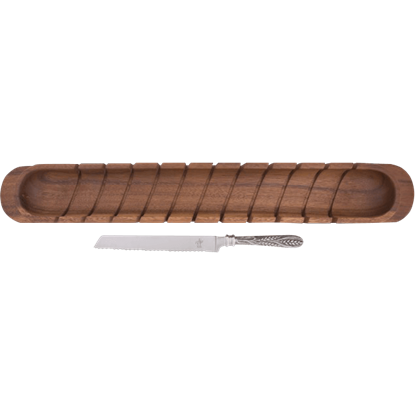 Offering the perfect balance of function and style, the Baguette Board with Knife is crafted from lovely acacia wood that has been lightly finished so the warm, golden beauty of the hardwood enhances the perfect baguette. 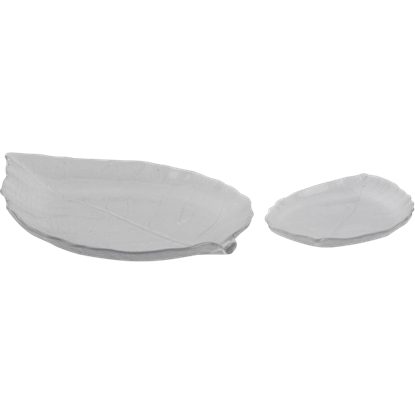 The Clear Leaf Tray makes a versatile, elegant serving dish with its beautiful leaf shape and crystal clear glass. 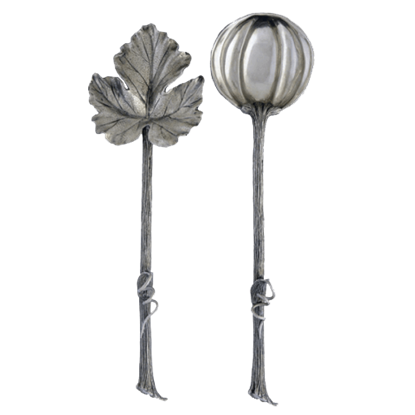 Crafted from mouth blown glass, this leaf server features a subtle stem at one end and fine vein detailing. 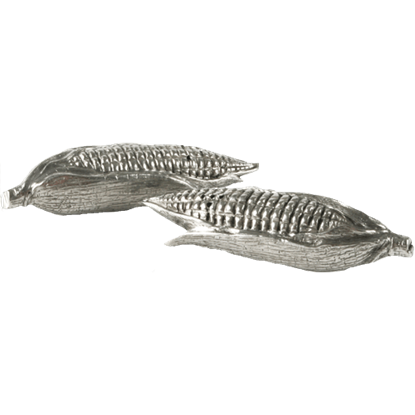 Fresh from the farm, this high quality pewter Corn Napkin Ring is delightfully detailed, expressing the natural beauty of your favorite harvest bounty. 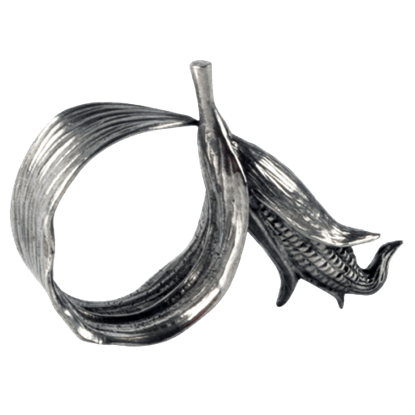 Decorate the place setting of guests with these charming napkin rings. As fine table accents inspired by the bounty of the harvest season, these salt and pepper shakers make a necessary addition to your meal. The Corn Salt and Pepper Set features ears of corn that hold these important condiments. 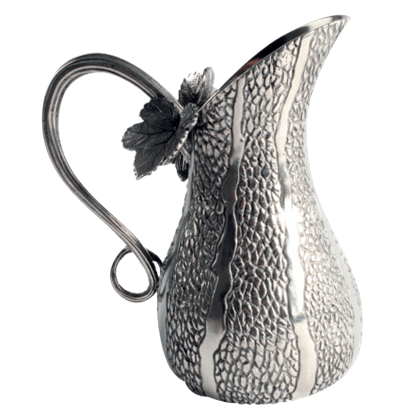 This pure pewter Dancing Gourd Pitcher adds charm to any table setting with its unique look. The lovely syrup-sized pitcher can be used for any type of condiment that your guests will want to pour themselves to flavor their food. Serve your guests the bounty of the harvest on the seminal symbol of the autumn season with the Harvest Leaf Glass Plate. 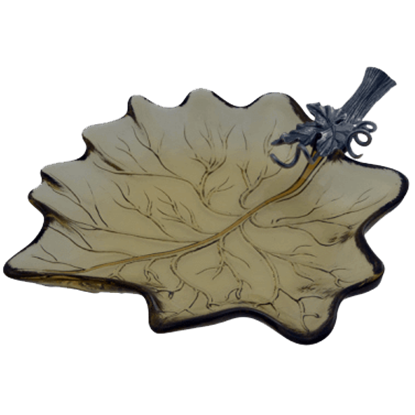 Divinely detailed in pewter and glass, this leaf shaped plate adds autumn artistry to your table. At your next gathering, consider presenting your fine appetizers on a decorative plate like this one. 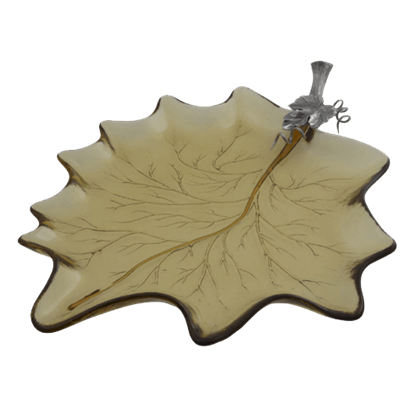 Serve your guests the bounty of the harvest on the seminal symbol of the autumn season with the Harvest Leaf Glass Tray.